THE DAILY TELEGRAPH: The anti-capitalist protesters who occupied St Paul’s Cathedral were both morally and intellectually right, a senior Bank of England official said last night. In a speech entitled Socially Useful Banking, he said the protesters had helped bring about a “reformation” in financial services and the way they are regulated. One in five British workers and their families are likely to have inadequate standards of living because they are being paid less than the living wage, according to a study. The research by the consultants KPMG found that 4.82 million workers have to survive on less than a living wage, currently £8.30 an hour in London and £7.20 in the rest of the country. The TUC described the findings as "shocking". The government has resisted campaigns to increase the currentminimum wage of £6.19 to living wage levels, fearing that it would hit employment figures. 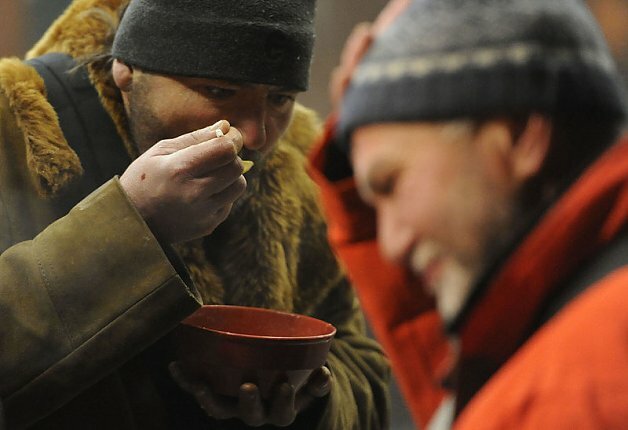 It argues that it is a poorly targeted poverty measure. A magazine editor in Greece will appear in court after publishing the names of more than 2,000 wealthy Greeks alleged to have Swiss bank accounts, triggering a row over tax evasion that threatens the stability of the government. 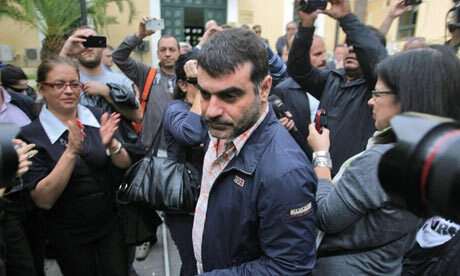 Kostas Vaxevanis was arrested on Sunday, after his weekly journal, Hot Doc, printed the list of names, which including prominent members of Greece's political and business elite. The editor was giving a live radio interview when police arrived, and broke off saying he had to go "to be arrested". At the same [time] he tweeted about the arrest, comparing the police to German stormtroopers in the second world war. In another tweet he wrote: "They're entering my house with the prosecutor right now. They are arresting me. Spread the word." THE DAILY TELEGRAPH: The frontrunner to become the next Archbishop of Canterbury has accused banks of having “no socially useful purpose” and being “exponents of anarchy” in a speech warning that the battered financial services industry cannot be repaired. 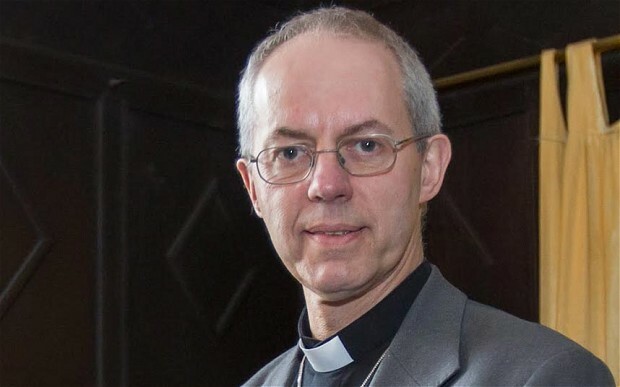 The Rt Rev Justin Welby, Bishop of Durham, says the sector must be rebuilt “from the ruins” of the financial crisis to become something that “helps people rather than being there for people to help it”. Bishop Welby, who is a member of the Parliamentary Commission on Banking Standards, called for the introduction of formal banking qualifications, for the Government only to only support financial institutions that have a “clear and explicit social value”, and to offer an easier tax regime and lighter regulation for banks that demonstrate a “social purpose”. Speaking at a conference in Zurich, Switzerland, Bishop Welby said: “At the moment clearly these are merely ideas in the mist. "But one principle seems to me to be clear, we cannot repair what was destroyed in 2008, we can only replace it with something that is dedicated to the support of human society, to the common good and to solidarity. REUTERS DEUTSCHLAND: Berlin (Reuters) - Bundesaußenminister Guido Westerwelle (FDP) hat EU und USA dazu aufgerufen, zur Bewältigung der Schuldenkrise eine Freihandelszone zu schaffen. New statistics show unemployment rate now above 25 per cent, with about 800,000 people losing jobs in past 12 months. THE DAILY TELEGRAPH: Spain’s unemployment rate reached 25pc, official data showed of Friday, the highest level since the nation’s transition to democracy, with further layoffs predicted next year. Tens of thousands of jobs were lost between July and September raising the number of unemployed to 5.78 million people, Spain’s National Statistics Institute reported, a level unseen since the dictatorship of Francisco Franco ended in the mid-1970s. The number of Spanish households in which every member is out of work climbed to 1.74 million, roughly one tenth of all Spanish families. The rise in the number of jobless comes as Spain sinks deeper into recession, with output expected to decline for the third consecutive quarter. It comes as Spain struggles with deep austerity measures that have forced many out onto the street in protest. BBC: Millions of Muslims from all walks of life have converged on Saudi Arabia to perform the pilgrimage known as the Hajj. The annual occasion has become a lucrative business in recent years, proving a great financial asset to the economy of the oil-rich kingdom. 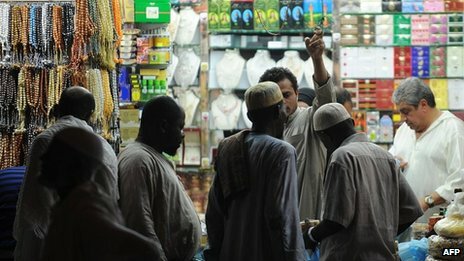 "I spent up to $6,000 (£3,700) on my Hajj," says Mr Zayan, who wears the traditional white pilgrims' clothes. "I thank God that he enabled me to save this amount of money but I'm sad I could not afford taking my wife and son with me." THE DAILY TELEGRAPH: It has been three years since I was last in Paphos, a resort on Cyprus's west coast, and at first glance not much has changed. In a taxi from the airport, down a rollercoaster road of potholes and speed bumps, we drive past white-walled villas draped in bougainvillea. At the quayside of the old harbour, traditional fish restaurants continue to do steady business, as tourists gather by the castle to watch a magnificent sunset. Behind this façade of familiarity, however, the comings and goings have been so dramatic that many in Cyprus are struggling to understand what has happened to them. Important features of local life have, literally, disappeared – and I'm not talking just about thousands of feral cats that used to reside here. This island, once a magnet for money, is perilously close to running out of cash. Standard & Poor's, the ratings agency, has downgraded Cyprus twice since the beginning of August, citing "deteriorating domestic credit conditions and eroding consumer and investor confidence". With an election due in February and fears of a lurch to the left, a local café owner admitted to me that property buyers from overseas, many of them British, who in the past had been "robbed", would be foolish to rush back. Evidence of plunging fortunes is everywhere, with billboards offering two-bedroom apartments, originally priced at €150,00 (£122,000), now €79,000. In the shopping zone close to Paphos's more expensive hotels, there are several boarded up premises, scarred with graffiti, where bars and car-hire companies used to flourish. Zwischen Martigny und Chamonix entsteht ein neues Pumpspeicherkraftwerk. Es produziert allerdings keinen neuen Strom, sondern soll ab 2017 ausschliesslich als «alpine Batterie» dienen. Das Kraftwerk soll für die Schweiz ein Trumpf in den Verhandlungen mit der EU über ein neues Energieabkommen sein. SPIEGEL ONLINE INTERNATIONAL: A new study by a German think tank warns that a euro exit by Greece, Spain, Portugal and Italy would cut global GDP by 17 trillion euros and plunge the world into recession, with France suffering the biggest loss. A Greek exit alone would be manageable, but must be avoided to forestall a domino effect, it says. Economic research group Prognos, in a study commissioned by the Bertelsmann Stiftung, estimated that euro exits by Greece, Portugal, Spain and Italy would wipe a total of €17.2 trillion ($22.3 trillion) off worldwide growth by 2020. WIENER ZEITUNG: Kluft wächst. / 511.000 Österreicher leben unter der Armutsgrenze. Wien. Die Armutskonferenz hat anlässlich des heutigen Internationalen Tags der Beseitigung von Armut am Mittwoch bei einer Pressekonferenz vor den Auswirkungen einer größer werdenden Schere zwischen Arm und Reich für die Gesellschaft gewarnt. Laut Statistik leben 511.000 Österreicher unter der Armutsgrenze, was sich negativ auf ihre Lebenserwartung und Gesundheit auswirke, und am Ende höhere Kosten für die Gesellschaft bedeute. THE DAILY TELEGRAPH: Goldman Sachs has joined in a much better-than-expected third quarter for Wall Street, raising the prospect its bankers will take home bigger bonuses this year. THE DAILY TELEGRAPH: France is sliding into a grave economic crisis and risks a full-blown “hurricane” as investors flee rocketing tax rates, the country’s business federation has warned. “The situation is very serious. Some business leaders are in a state of quasi-panic,” said Laurence Parisot, head of employers’ group MEDEF. 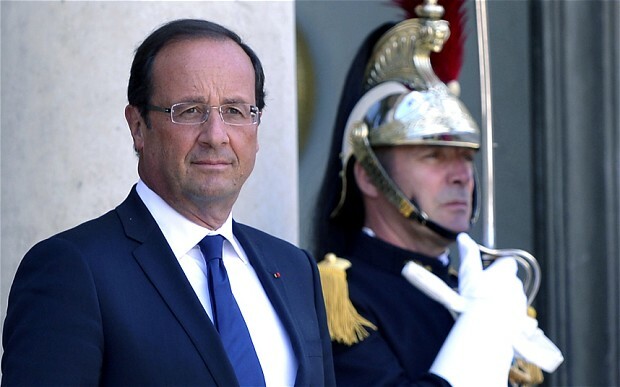 MEDEF, France’s equivalent of the CBI, said the threat has risen from “a storm warning to a hurricane warning”, adding that the Socialist government of François Hollande has yet to understand the “extreme gravity” of the crisis. The immediate bone of contention is Article 6 of the new tax law, which raises the top rate of capital gains tax from 34.5pc to 62.2pc. This compares with 21pc in Spain, 26.4pc in Germany and 28pc in Britain. RT.COM: The EU’s bureaucracy is set to grow while the rest of Europe is wracked by austerity measures. UK taxpayers will reportedly fork out an extra $2.2 billion annually for the next seven years to pay for the doubling of pensions for Brussels’ officials. A confidential letter leaked to The Telegraph also reveals that EU pensions are set to double to more than $3.2 billion a year by 2045. In addition, it disclosed that the European Commission is requesting a 26 per cent increase to cover the growing costs of the civil service in the proposed 2014-2020 budgets, bringing the cost from $72 billion to $91 billion. Currently, the EU’s retirement plan for bureaucrats consists of 60 per cent of final salary, which evens out to an annual pension of $91,000. This costs European national governments about $1.6 billion annually. WSJ – BLOG: JAKARTA–A new breed of designers is seeking to blend Islamic modesty with cutting-edge style to turn Indonesia into a global center of Islamic fashion. The idea may seem like a bad fit for some fashion mavens, who when thinking of Islamic fashion usually picture drab black or white cloths used to cloak female beauty rather than celebrate it. But the Islamic-fashion industry has taken off in recent years as designers look for ways to incorporate the bold colors and rich textile traditions prevalent in some Islamic societies while still maintaining sufficient modesty to adhere to Muslim mores. Indonesia, as the world’s largest Muslim-majority country, is already one of the main players, with a local fashion industry now estimated to be worth $6.6 billion dollars a year. But local designers and retailers – led by an industry group called the Indonesian Islamic Fashion Consortium – are hoping to expand the Islamic fashion component of the industry even more by drawing up a road map to make Indonesia the “capital” of global Islamic fashion by 2020. LE POINT: Pour alléger les dépenses publiques, l'État grec songerait à faire évacuer les îles de moins de 150 habitants. L'idée fait scandale. As the economic crisis is taking its toll on Spain, an increasing number of labourers - particularly construction workers - are crossing the border into France for work. French builders now complain that the foreign competition is stealing their business, and that unemployment is rising in French border towns. A French labourer earns $15, while a Spaniard will work for $10. Al Jazeera's Jacky Rowland reports from the Franco-Spanish border. When Ed Miliband tells Labour conference delegates that he plans to break up Britain's banks should they backslide on tough new regulations, he is going further than the usual banker-bashing. When he attacks the government, which he argues has capitulated to intense lobbying and let the banks off the regulatory hook, it is not from the easy hit school of political point-scoring. His strategy is broader and goes back to his long-held belief that a buccaneering, devil-take-the-hindmost approach to business is out of place in the 21st century. More than that, it is counterproductive and harmful to an economy that needs to shift away from a reliance on the money made by banks and their chief asset – the inflated loans made on seemingly irresistible property speculation. Miliband may seem an awkward, even alien performer to some , but he will strengthen his appeal if he can stitch together policies that resonate with an audience that has spent the last four years watching incredulously as the City and the wealthy successfully defend their corner. Responsible capitalism sounds dull and un-British, but it also presents an opportunity for a little reinvention and a greater degree of fairness. It also has the potential to enthuse disenchanted Liberal Democrats as much as it does delegates desperate for some policy meat from the podium. In Iran, it was always hoped that the man who asks for your daughter's hand would be an engineer or a doctor. But now, with the crisis over the national currency, one joke says: "We had happily assumed that our daughter had married a foreign exchange dealer, but to our dismay it turned out that he was faking and was merely an engineer." 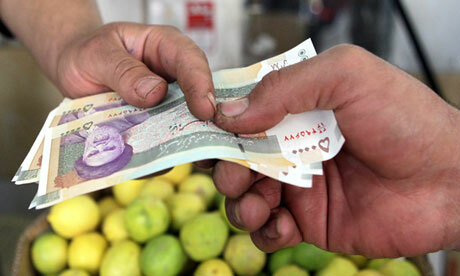 My country's currency, the rial, is losing its value rapidly and we feel its impact in the prices of staple goods, household products and almost everything else. We are a middle-class family and can hardly make ends meet. I wonder how poor families survive. LIBÉRATION: L'Insee rapporte cinq trimestres consécutifs de croissance nulle, et un chômage qui s'envole. HANDELSBLATT: Exclusiv – Er findet dramatische Worte: Griechenlands Ministerpräsident Antonis Samaras vergleicht die Situation seines Landes mit der Weimarer Republik und warnt vor den Auswirkungen der Arbeitslosigkeit für die Demokratie. Athen. Der griechische Ministerpräsident Antonis Samaras hat in dramatischen Worten vor den Folgen einer weiteren Verschlechterung der wirtschaftlichen und sozialen Lage seines Landes gewarnt. 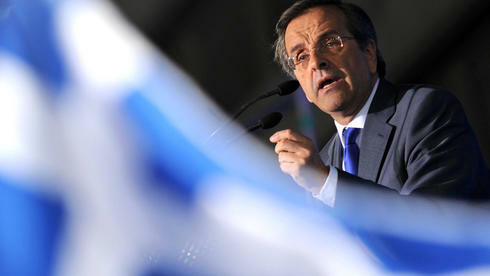 In einem Interview mit dem „Handelsblatt“ verglich Samaras die Situation seines Landes mit der Weimarer Republik. „Die griechische Demokratie steht vor ihrer vielleicht größten Herausforderung“, sagte der Regierungschef. 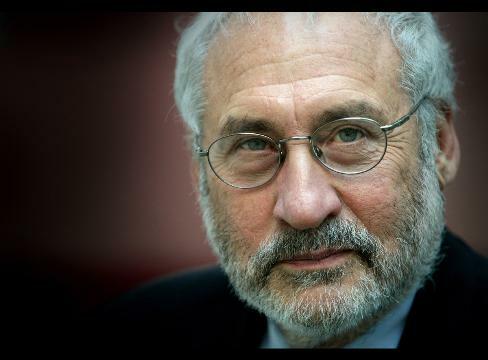 SPIEGEL ONLINE INTERNATIONAL: The finance industry is to blame for the growing divide between the rich and poor in the United States, says Nobel Prize-winning economics professor Joseph Stiglitz. In an interview with SPIEGEL, he accuses the industry of preying on the poor and buying government policies that help them get richer. 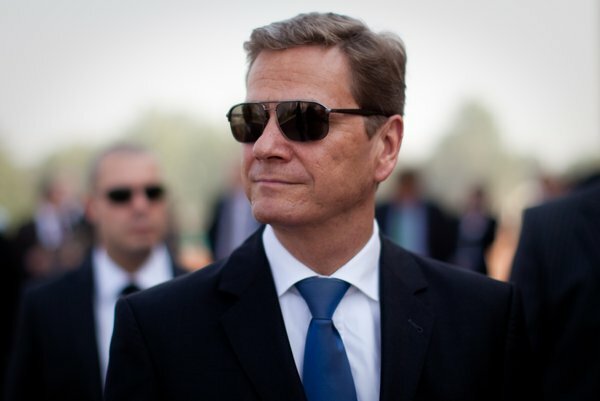 Al Jazeera speaks to Patrice de Beer, the former editor of Le Monde.